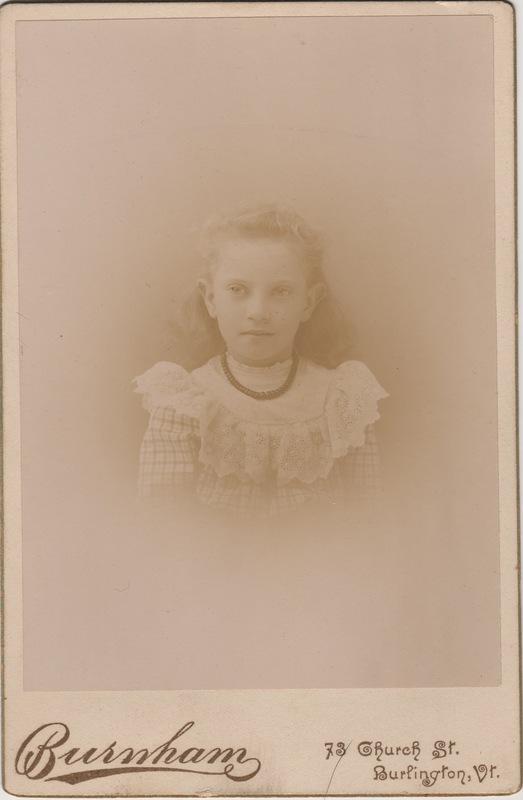 Marie Magdeleine Hénault was my 6x great-grandmother. [In the parish records the family name was more often spelled “Enos” or “Enaud”, which are homophones in French.] She was the second wife of Louis Olivier dit Lavictoire, the original immigrant ancestor of the Olivier family, who had arrived in Berthier, Quebec, Canada about 1742 from the parish of St-Eustache in Paris, France. We do not know when Louis came to live in Berthier-en-Haut, but we find him there first in the parish records on 24 Oct 1757 when he married his second wife Madeleine Enaud, a/k/a Marieé Hénault, who was 36 years old at the time. To this marriage were born twelve children baptized at Berthier. You will find this “fact” almost universally mirrored across dozens of family trees on Ancestry.com and elsewhere on the web. 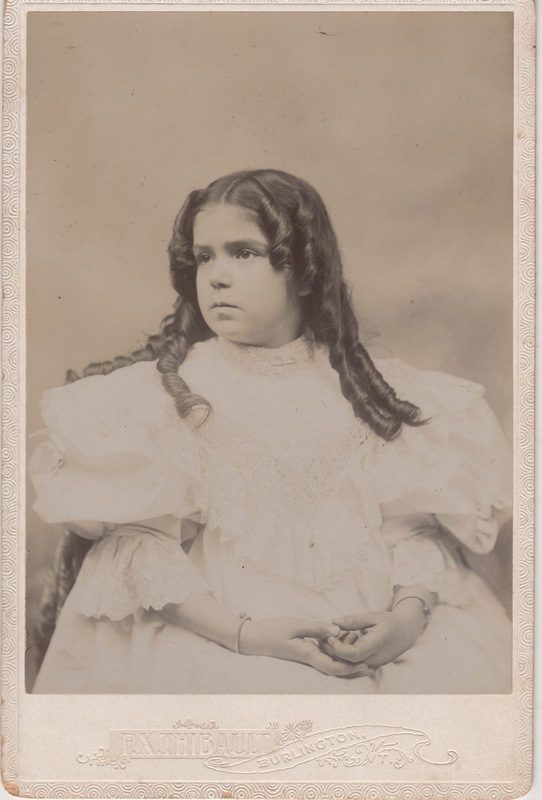 Her birth date is given as 3 Jun 1721 in Richelieu, Quebec, Canada. It is, however, unlikely to be correct given the facts. If the 1721 birth year is correct, Magdeleine would have been 59 years old at the time of the birth of their last child. Technically, this is not impossible, but I put it in the category of “extremely improbable”. Based on that age she had been born about 1733 and would have married at the age of 24 or 25. Her last child would have been born when she was 47, which is still stretching things, but at least not impossible. The reason for the erroneous birth date is the Tanguay Genealogical Dictionary of Canadian Families, which shows her as having been baptized in 1721. I believe it’s clearly incorrect when the facts are examined. I’m guessing she was born more like 1738 and would have been about 43 when her last child was born. Her parents Jean Pierre Hénault dit Fresnière (1691-1756) and Marie Geneviève Généreux (1704-1788) were in the parish of St-Pierre, Sorel, Québec, Canada for the birth of her brother François Hénault on 20 Oct 1725, and had moved directly across the Saint Lawrence River to the parish of Ste-Geneviève, Berthier, Québec, Canada by 1727 when her sister Geneviève Hénault was born. We know they stayed in Ste-Geneviève through at least 1733 when her sister Marie Josephe Hénault was born. Unfortunately, the parish records for St-Pierre don’t exist for the years 1683-1724, and the records for Ste-Geneviève are missing between 1734 and 1750, so it’s possible we may never find a baptism record proving the exact birth date for Magdeleine Hénault. I was contacted recently on ancestry.com by a cousin from the Olivier side of the family. She asked me if I had a copy of the book on Olivier Family history which had been written by Ernest Olivier in 1929. I had never heard of it, so she agreed to send me a copy as a PDF file. This is an incredible document, and I’m shocked that I knew nothing of its existence. The book is called “Généalogie des Olivier, dit Lavictoire” by Ernest Olivier and Alphonse Houle, and was written in 1929. The text is in French, and is 69 pages long. The primary author, Ernest Olivier, was the son of Louis Arthur Olivier, and the grandson of Henri François Olivier, my 3x great-grandfather. He was a priest, as I said, who was born in Ste-Elizabeth, Berthier, Quebec and lived most of his life in Rhode Island. 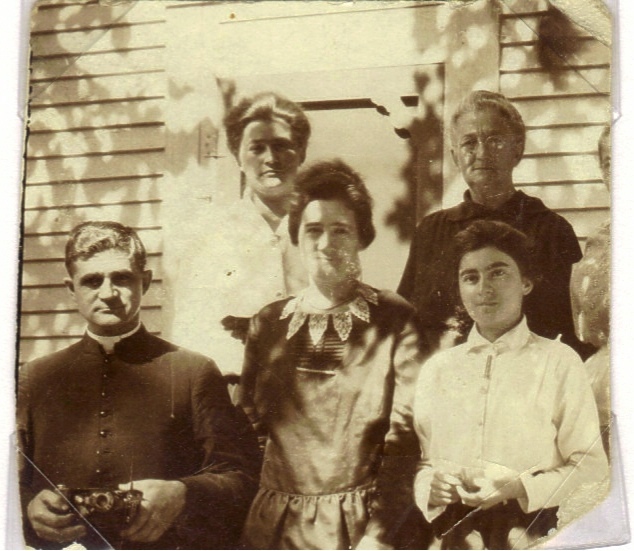 Reverend Ernest Olivier, lower left, with his family about 1917. “Dear readers, we would have wished to present you with a more complete family history, but this was impossible. At the beginning we had no intention to undertake such a considerable body of work because we had thought to only work on our line of the family tree. 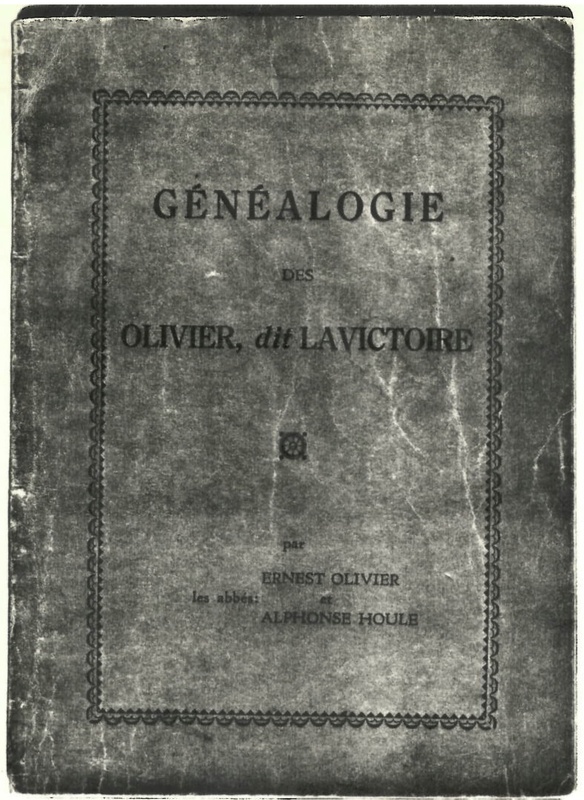 In the course of our research, having found many other Olivier descendants of the same ancestors, we decided to compile all the names which made up the five lines presented in this book. We have done this in collaboration with a cousin, the reverend Alphonse Houle, vicar of Berthier-en-Haut, the original church for our ancestors, who has collected everything he could find in the parish registers up to 1880, and your humble author has done the rest, bringing the family history from that point to the present date . That which remains missing is due, for the most part, to the many of our demands for information which have remained unanswered. There are, perhaps, some errors with names and dates despite the great care we have taken to make the information presented as exact as possible. We hope that this family history will help you know the Olivier dit Lavictoire family in greater depth. It is a family from which are descended many priests, other religious figures, and men who have distinguished themselves in all the liberal professions. In order to make this book more interesting we have also added some biographical information to each entry [where possible]. We have divided and laid out the story by following each line of each family. To begin there are five chapters where the lines of each of the five sons of Louis Olivier and Madelaine Hénault are traced. Then, in each line we have enumerated first the children, sons and daughters, and indicated their names and the dates of their births or baptisms. Then, we have followed each son who was married and indicated the date of their birth or baptism and added the date of their marriage, the names of their spouses, the names and dates of birth or baptism of their children, and thus repeated this until the final generation. As a point of reference, instead of repeating the names of the father and mother we have repeated the date of the birth or baptism of the son whose line we are following. According to the genealogical dictionary of Monseigneur Tanguay, Louis Olivier dit Lavictoire, born in May 1720, son of Pierre Olivier and Marie-Anne Dubuc from the parish of St-Eustache in Paris, France immigrated to Montréal on 26 Feb 1743. He married first Marie Joseph Buisson, who died at the age of 18 years and was buried in Montréal on 6 May 1743, one month after the birth of their daughter Marguerite. Marguerite had been baptized on 5 Apr 1743 and had died and was buried the 19th of June the same year. We do not know when Louis came to live in Berthier-en-Haut, but we find him there first in the parish records on 24 Oct 1757 when he married his second wife Madeleine Enaud, a/k/a Marieé Hénault, who was 36 years old at the time. To this marriage were born twelve children baptized at Berthier. Louis was a négociant [wine merchant], a captain of militia, and a soldier in the Lavaltrie Company. He died [on 7 Feb 1785] at the age of 64 years and 9 months, and was buried on 10 Feb 1785 inside the church along the wall of the Evangelical side of the church, according to the sepulture inscriptions in the archives of the parish of Saint-Geneviève de Berthier-en-Haut. François Olivier dit Lavictoire, second son of Louis and Madeleine Hénault, was captain [of militia] and a farmer from Grande-Côte of Berthier-en-Haut on the north bank of the Saint Lawrence river, two and a half miles from the parish church. He was born [10 Aug] 1760 and married [Marie] Pélagie Desrosiers [dite Lafresnière] on 17 Feb 1783. He died at the age of 84 years [on 9 May 1844] and was buried the 11th of May. 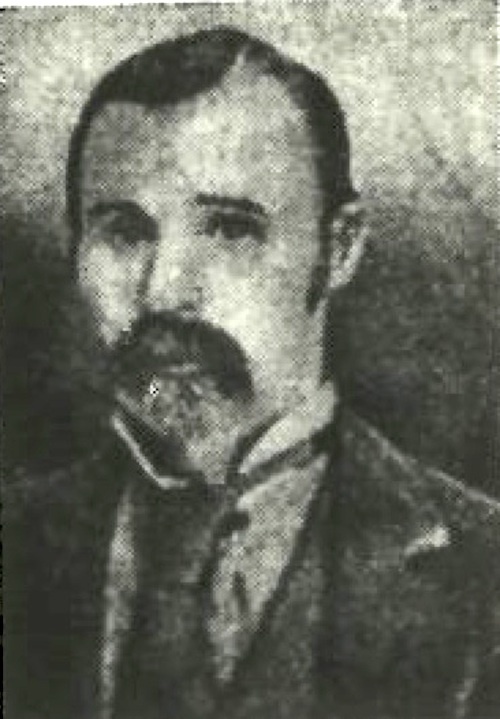 François Olivier dit Lavictoire, eldest son of François and Pélagie Desrosiers was a farmer on the family farm. He was born 30 Dec 1783 and married Euphrosine Aurez dite Laferrière on 30 Sept 1811. He died at the age of 76 years and was buried 29 Aug 1859. Home of François Olivier, at Grand-Côte in Bertherville-en-Haut, built in 1844. 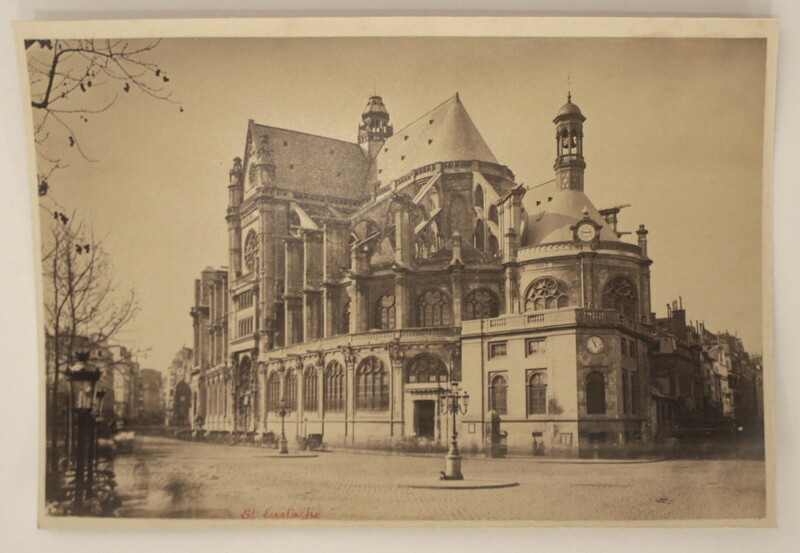 Several of the sons of François Olivier are shown in photographs in the book. They are not the best quality. I would love to know who has the originals of them! 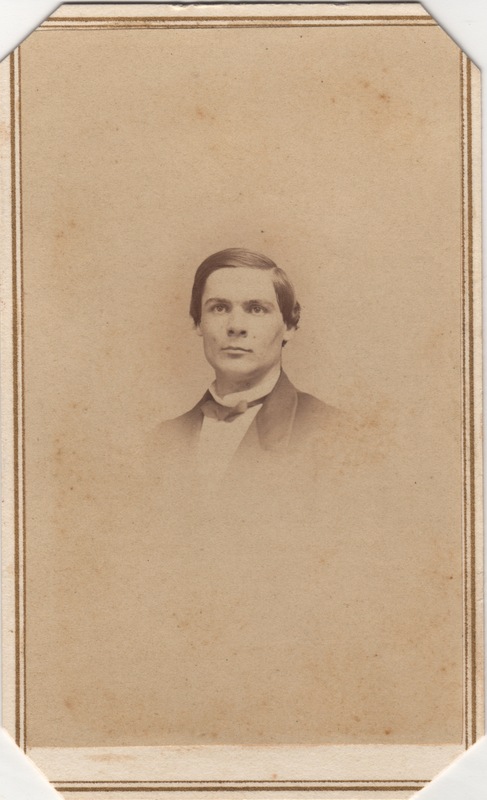 Then he comes to my 3x great grandfather, and I was surprised to find two photos that were included. 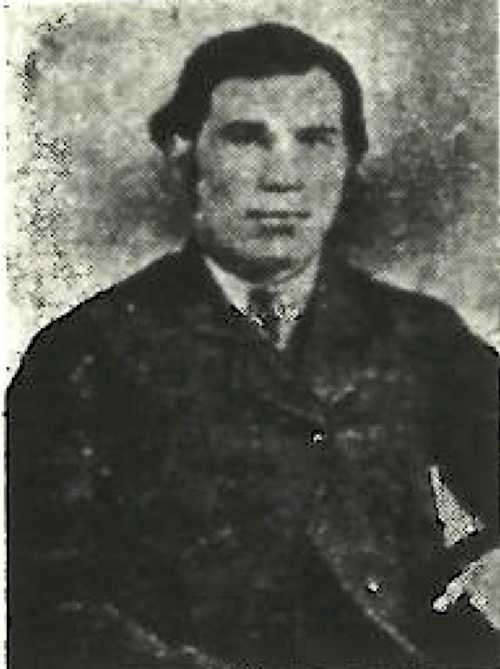 Henri, farmer and eldest son of François and Euphrosine Aurez dite Laferrière, was born 18 Nov 1812, and married Elisabeth Tellier at Berthier on 13 Jan 1835. In 1836 moved to a farm at Ste-Elisabeth de Joliette which was 3 arpents by 32 arpents in size [about 83 acres]. About half the land was arable, and the farm was situated on the north bank of the Bayonne river, about two miles from the parish church. [Ste-Elisabeth is about 10 miles from Berthierville and the Bayonne river runs from Berthierville toward Ste-Elisabeth almost directly.] Henri died at the age of 64 years [on 21 Aug 1876] and was buried at Ste-Elisabeth on 23 Aug 1876. 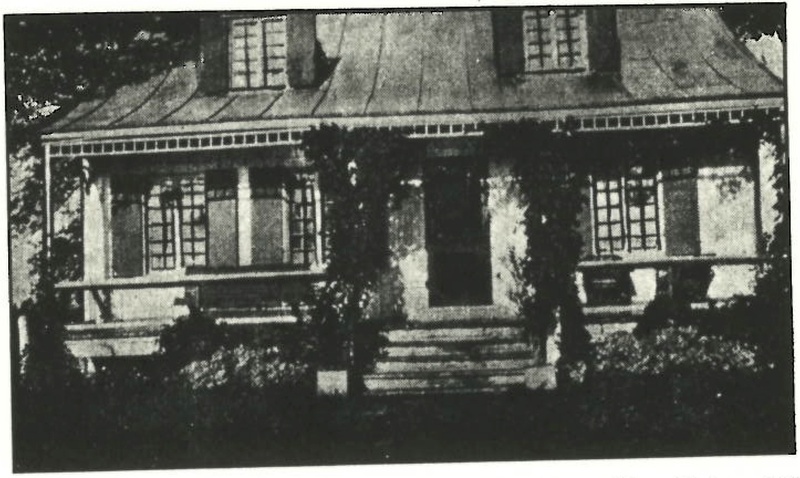 Home of Henri Olivier, built in Ste-Elisabeth about 1836. 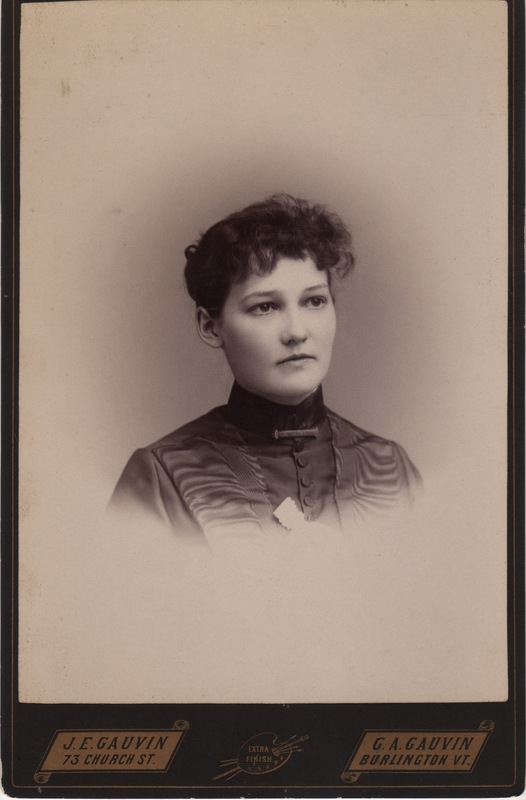 Cordélia, born 11 Sept 1850, married Jean G. Bacon, woodworker in Burlington, Vermont on 4 Sept 1871. 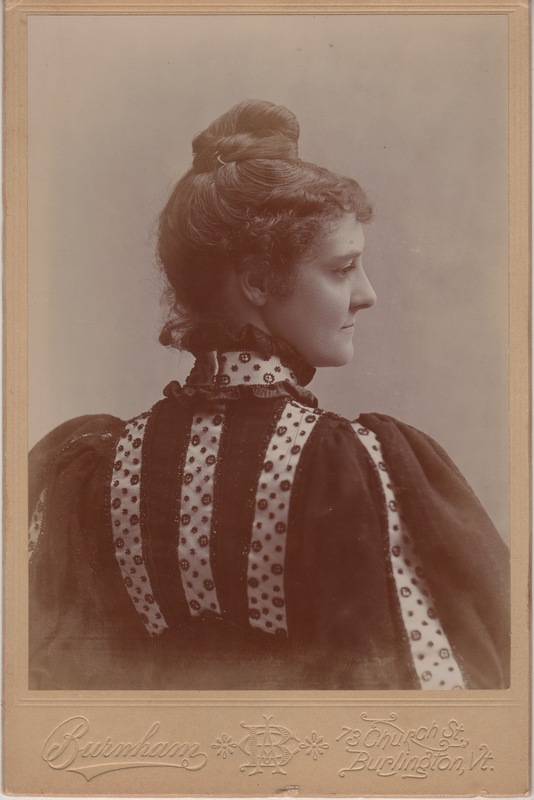 She died at the age of 68 years on 20 Oct 1918. The book is, however, full of stories of various members of the family. Some with huge amounts of detail, including the author’s own line, which descends from Henri François’s son Louis Arthur Olivier [1853-1919]. I’ll work on doing more translations, but if any family members want me to post specific lines, they can contact me through this site. 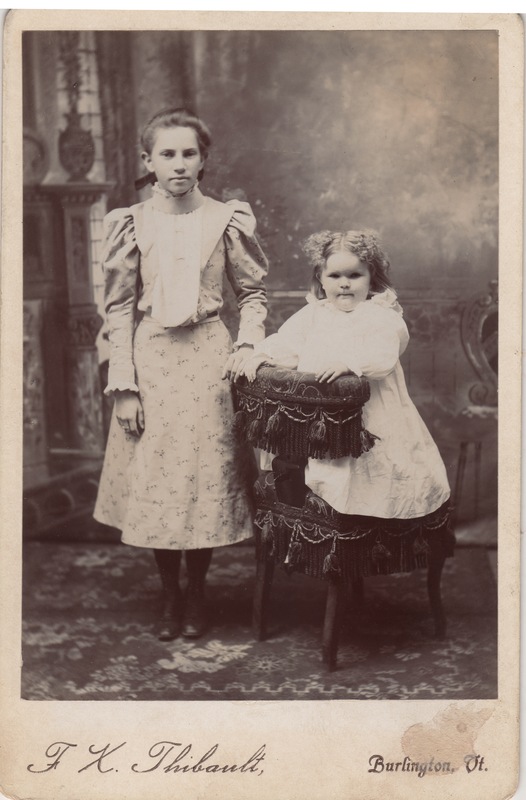 I have been fortunate enough recently to have discovered dozens of birth, marriage, and burial documents for my family by searching in online and scanned census and parish records from the counties where they lived in Norway. 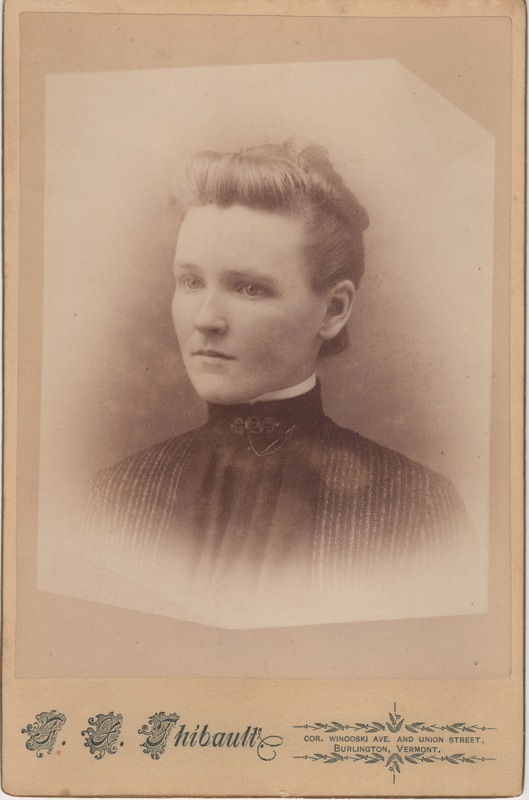 Tonight I wanted to see if I could find the original marriage record for my great-great-grandparents, Jens Rasmussen and Ovidia Olesdatter. 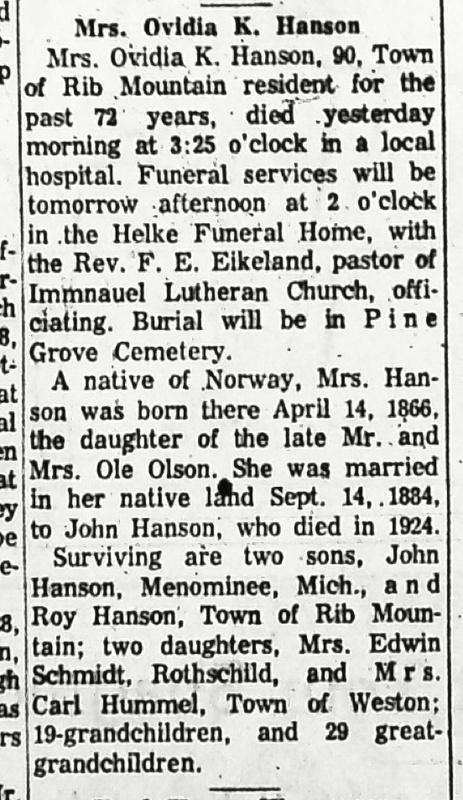 Ovidia’s obituary from 1956 states “She was married in [Norway] Sept. 14, 1884”. 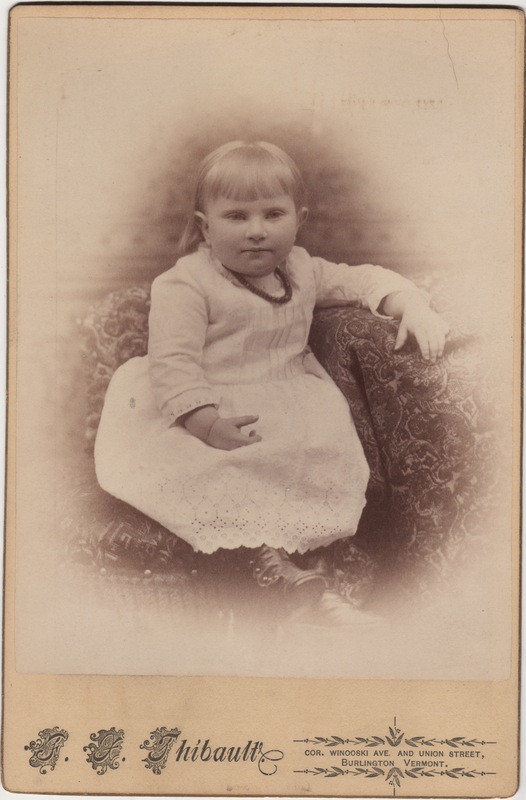 12) 15 Aug 1884, Rasmus Rasmussen (Ryum Farm, b 1852, son of Rasmus Hansen Østreim, confirmed in Lindås in 1867 and 1873) and Gjertrud Nilsdatter (b 1856, daughter of Nils Sjundsen Østreim, confirmed in Lindås in 1870 and 1883), both from Lindås, were married. Witnesses: Hans Rasmussen Ryum and Jens Rasmussen Ryum. So Jens had, in fact, come North to Vikna to attend the marriage of his brother, Rasmus, and was listed on the marriage record as a witness. 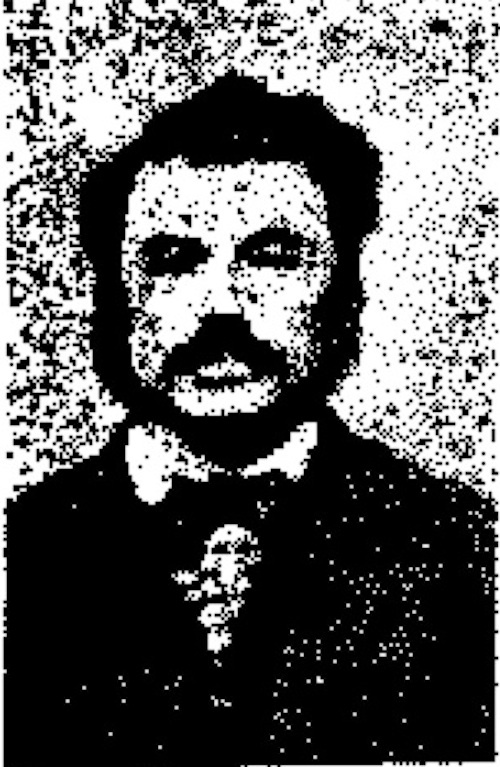 He was listed as Jens Rasmussen Ryum, not Jens Rasmussen Østreim. We will get to that later. 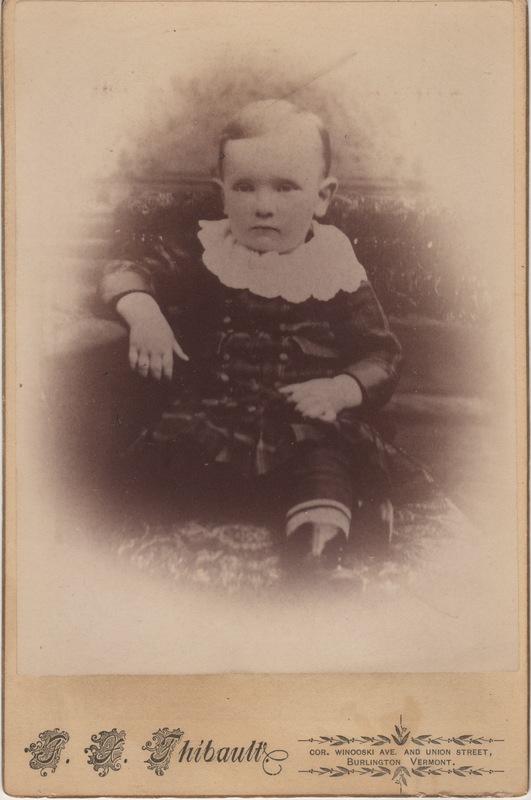 17) 12 Sept 1884, Jens Rasmussen Østreim from Ryum Farm, born Lindås in 1847, confirmed in Lindås in 1861, son of Rasmus Hansen, & Ovidia Kristina Zachariasdatter, born in Ryum in 1866, confirmed in Gaested in 1881, daughter of Ole Zachariasen, were married. Witnesses: Rasmus Østreim Ryum [groom’s brother] and Albert Olsen Ackvik [bride’s brother]. 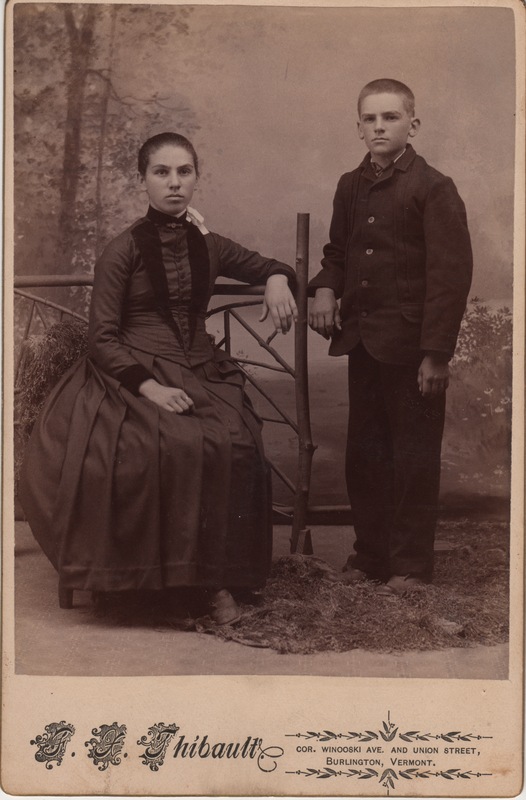 Ovidia Olesdatter and Jens Rasmussen around the time of their arrival in the US, about 1885. She was 18, he was 37. This record offers us many interesting bits of information. It confirms Jens as being from “Ryum Farm”, which means he wasn’t just visiting his brothers, but had been working on the farm with them. His trade is listed as sømand [modern spelling: sjømann] or sailor. It’s also worthwhile to note that Ryum Farm (also spelled Rjuum, and other ways) was the farm where Ovidia’s family lived. In Norway the “farms” were more like townships. Large pieces of land with many different families living on them. Some farms like Østreim Farm or Hopland Farm had 5 or even 20 families living on them. 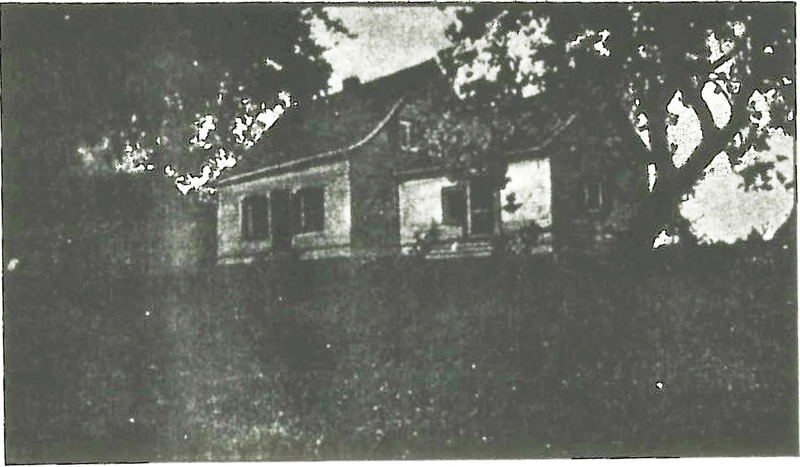 The Ryum farm was said to have been owned by the Gundbjorn family. I’d be very interested to see if I can find a plat map of Norway from that time showing the location of the different farms. 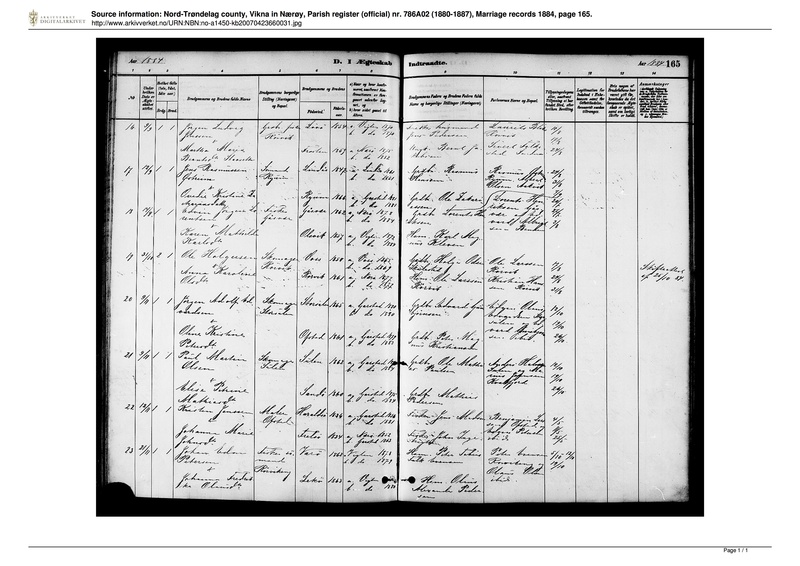 An important document from the 1900 Norwegian Census showing the parents and brother of my great-great-grandmother Ovidia Olesdatter (Olson). The family is living on a farm called “Aagvikmyren” in Vikna, Norway. Albert Marthin Olesen Ryum is my grandmother’s brother. 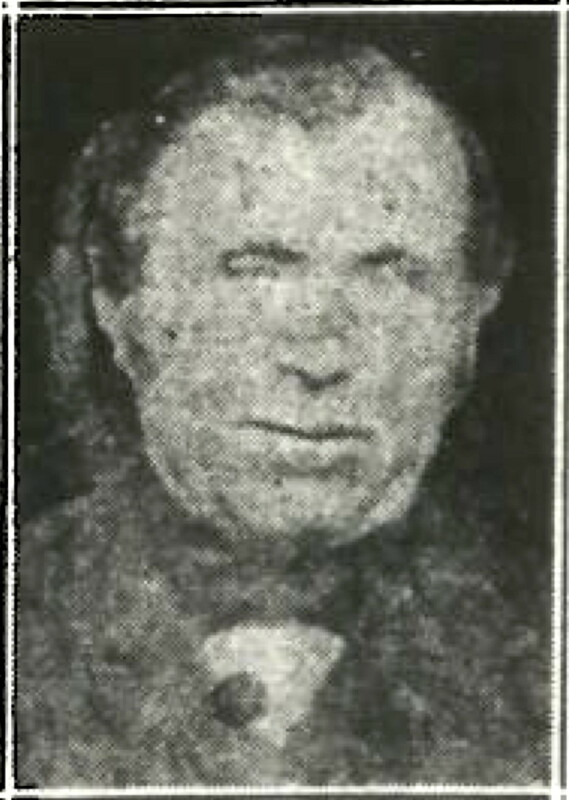 He is listed with his wife and five of his eight children (the other three would be born after 1900). On the same farm are his parents, Ole Zachariasen Ryum and Christine Dorthea Christiansdatter. Both are listed as “retired”. Ole is listed as having been born in Vuku, Verdal, Norway, which is a small town very near Stikelstad. Previously we had thought he was born in Stikelstad [as Ole was baptized there], so this is a more precise place of his birth. Very old parish churches still stand in Vuku (built in 1654) and Stikelstad (built in 1180 on the site of the death of St. Olaf), so it’s quite possible the churches where Ole was baptized and where his family attended still exist. 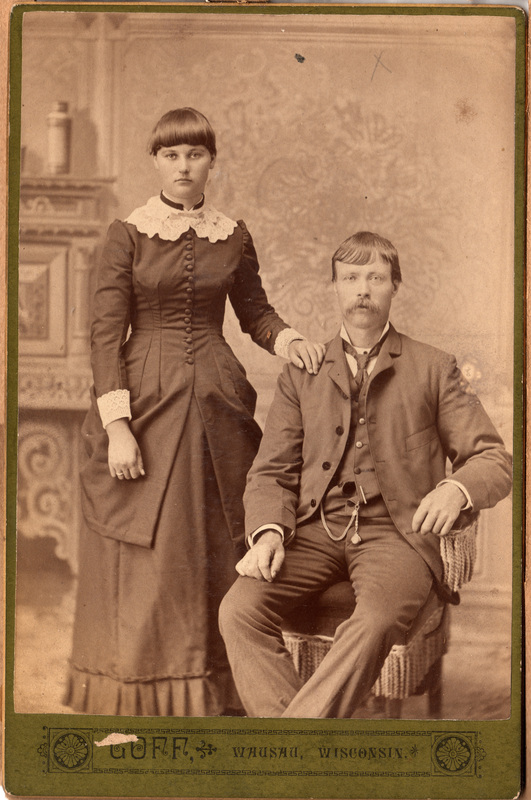 Ole and his wife Christine had actually been to Rib Mountain, Wisconsin to visit their daughter Ovidia around 1893, but Ole didn’t like America at all and they returned to Norway. Ole died in Vikna in 1913, and Christine in 1914. 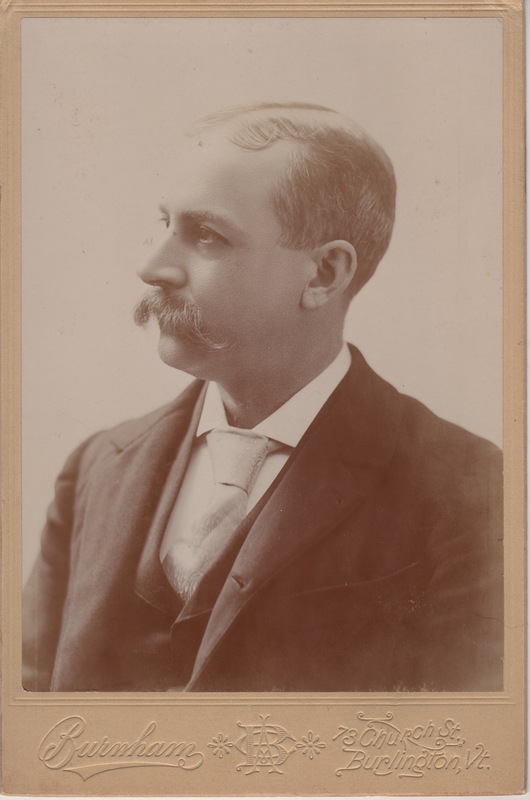 This is another set of historic portraits from Burlington, Vermont. I’m posting them as a set since they were acquired at about the same time, so there is always the possibility that they are related in some way. 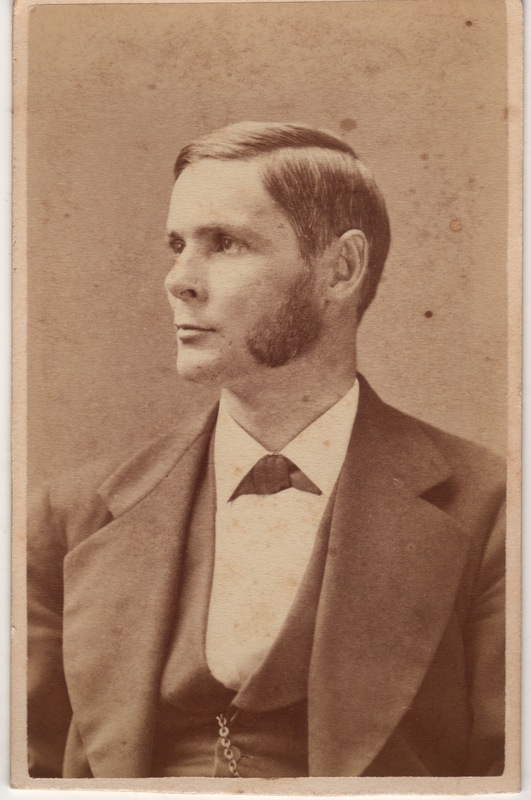 There are two photos of the first, square-jawed man. He looks familiar to me, for some reason. 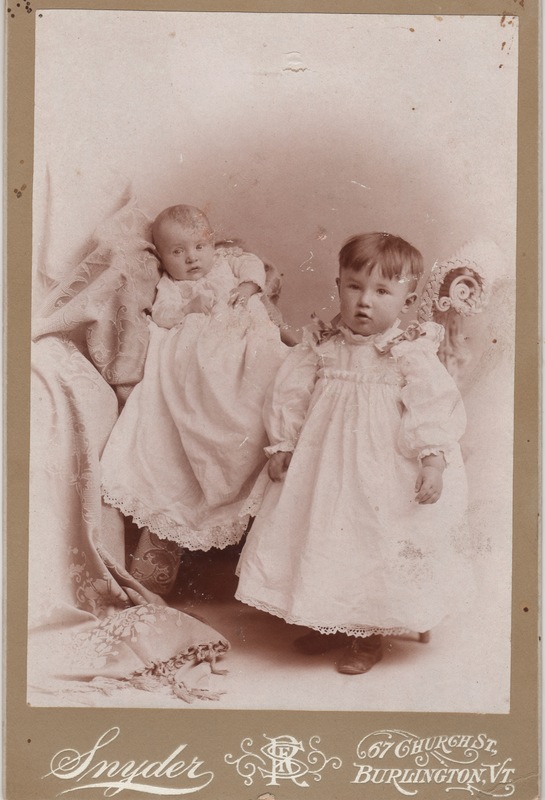 The second of the two photos is marked “May 18, 1875” on the back. A little girl, lost in the fog. This next one is particularly nice. If you zoom in, you can see every detail of her lace and every hair on her head. This next lady looks very familiar to me. Can’t quite place the face. This is one of the more remarkable documents I have found doing family history. It’s a census from 1801 in Norway. Keep in mind in the United States we didn’t get a real, itemized census until 1850. This particular document shows the families of the sons of Hans Nielsen and Ingebor Olsdatter, who were my 6x great grandparents. This document has my 4x great grandmother, two of my 5x great-grandparents, and two of my 6x great grandmothers in it. The family is living on a farm called Tyggestad in Nærøy, Nord-Trøndelag, Norway. You can see Ingebor Olesdatter (b 1726), my 6x-great-grandmother. She is a widow. 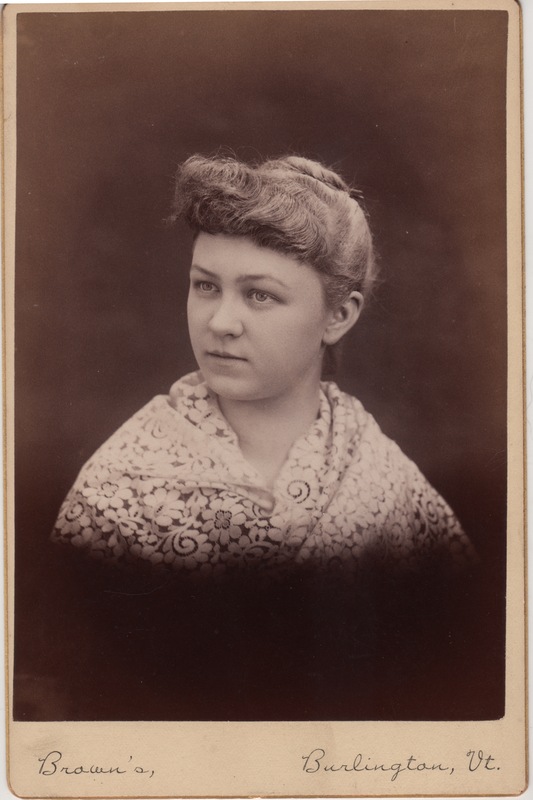 Her son Friedrich Nielsen is listed with his family, another son Tøritz Nielsen is listed with his family, and my 5x-great-grandparents Hans Nielsen and Pernella Danielsdatter are listed with their family, including my 4x-great-grandmother Christenze Hansdatter. 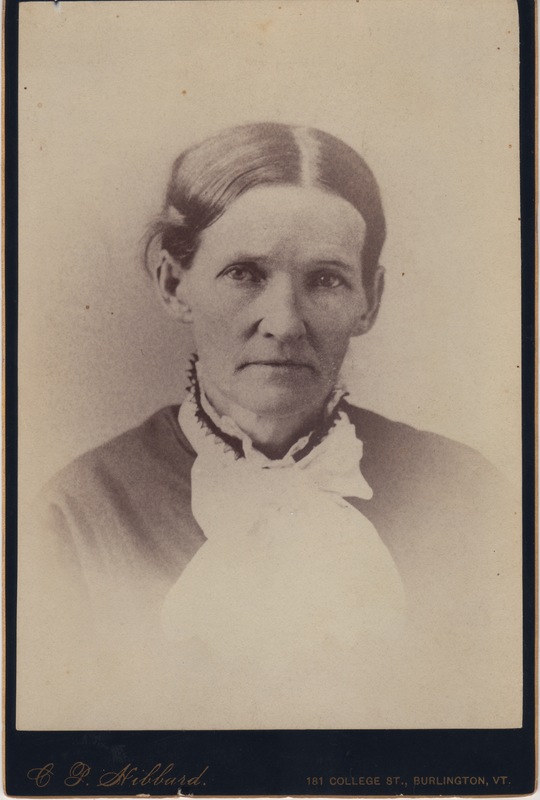 Christenze was the grandmother of my great-great-grandmother Ovidia Olsdatter (Olson), and to put this in perspective… she was 50 years old when the Declaration of Independence was signed in America. I certainly never imagined we’d know anything about her life. The other woman listed with Ingebor Olesdatter is “Christenze Jensdatter”. 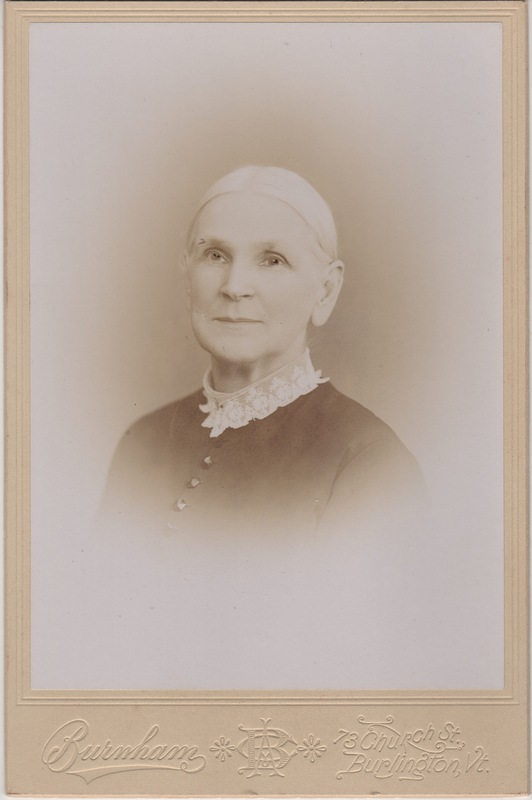 This is Christenze Doroothea Jensdatter Lille-Suulen, who was also my 6x great-grandmother, mother of Pernella Danielsdatter. You can see many generations of the family living side-by-side here. 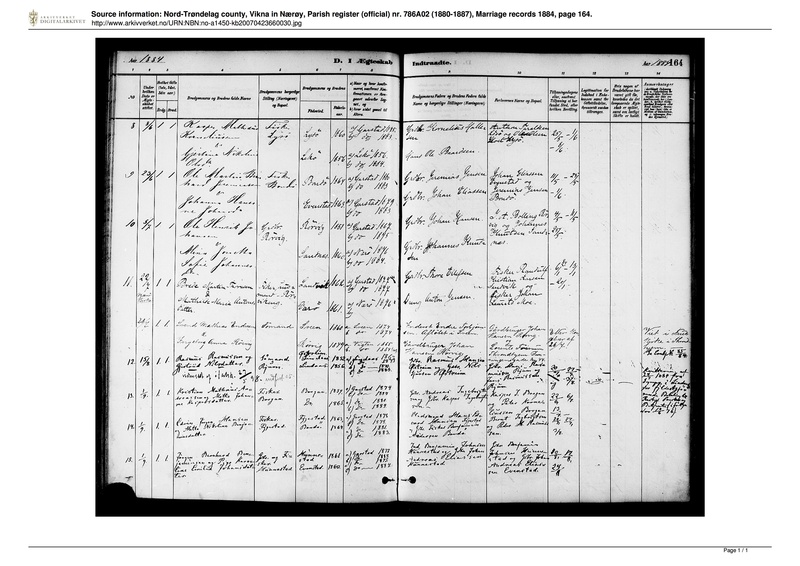 These are entries for the brothers of my great-great-grandfather Jens Rasmussen in the 1900 census of Norway. By this time the Rasmussen family had taken to using Østrem [the name of the farm they had lived on in Lindås] as the family name. They were living on Ryum farm (some family members then used the last name Ryum) on the island of Vikna, near the town of Rørvik, Norway. 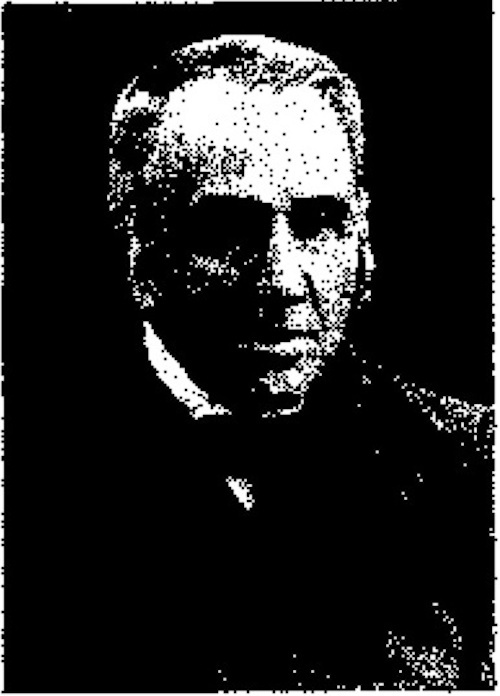 The first entry is for Andreas Rasmussen Østrem. You can see him listed as a farmer and fisherman, along with his wife Martine and three of their children. “Randi Østrem” was probably not a family member, but someone who had also lived on Østrem farm with them and moved to Vikna. Another son, Torleif, can be found in another census entry which I will show later. 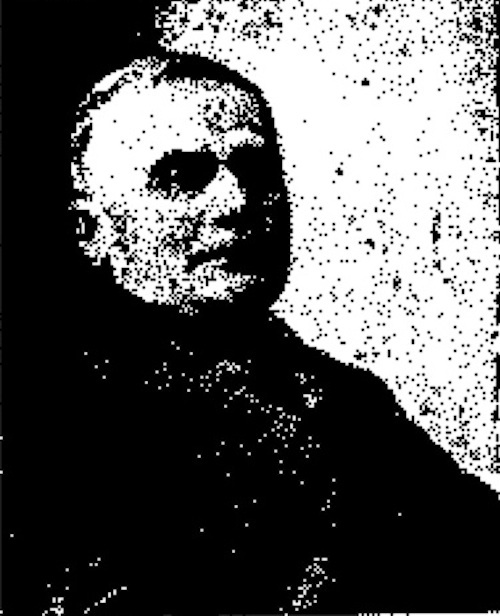 This entry is for the Rasmus Olai Hansen, who was the son of Hans Rasmussen Østrem, brother of the above two. You can see Rasmus and his wife Anna, along with his mother Gurine Martinusdatter. Torleif Østrem, listed with them, was the son Andreas Rasmussen Østrem (above). 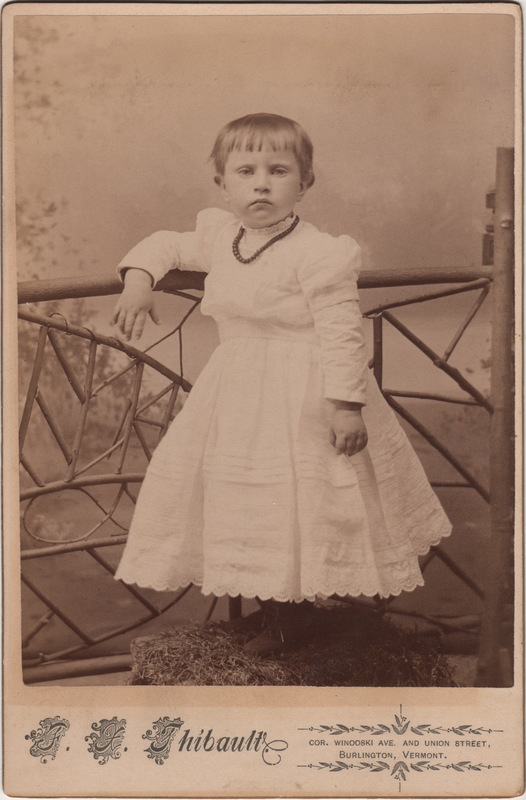 The younger Hans Østrem seems to have been the son of Paul Nilssen (also listed), and had the last name because his parents had lived on Østrem farm prior to moving to Vikna.